On Monday, July 20, Autozone Stores, Inc. and former employee Rosario Juarez jointly moved to dismiss Juarez’s highly publicized pregnancy discrimination case. Juarez filed suit against Autozone in 2008, claiming that Autozone demoted her and then fired her because of her pregnancy. She also claimed that Autozone harassed her because she was pregnant, and retaliated against her when she complained about the discrimination. In November 2014, a jury found in Juarez’s favor on all of these claims, and awarded her $879,719.52 in compensatory damages, and an astounding $185,000,000.00 in punitive damages. Autozone promptly asked the United States District Court for the Southern District of California for a new trial, and to rule that punitive damages could not be awarded against Autozone under the facts presented at trial. Autozone also asked the court to declare a mistrial and sanction Juarez’s attorneys for alleged inappropriate contact with jurors. According to Autozone’s court filings, Juarez’s trial team communicated with a juror before the trial was over. The juror had been dismissed after the liability phase of the trial, before the punitive damages phase, because she was heard telling Juarez, “I will hug you later.” Autozone also claimed that, immediately after the trial, a law clerk for Juarez’s counsel rushed from the courtroom to caution the jurors that the defense would try to undermine their verdict. The law clerk also invited the jurors for drinks at a hotel bar. There will be no decision on Autozone’s motions if the court grants the parties’ joint motion to dismiss. More than likely, the parties have reached a settlement and will not publicize the dollar amount ultimately paid to Juarez. Employers take note: The recent United States Supreme Court decision in Young v. United Parcel Service, Inc., and the huge jury verdict in the Autozone case have raised awareness about pregnancy discrimination in the workplace. Yet, managers and supervisors may not fully understand their employers’ legal obligations to pregnant workers. 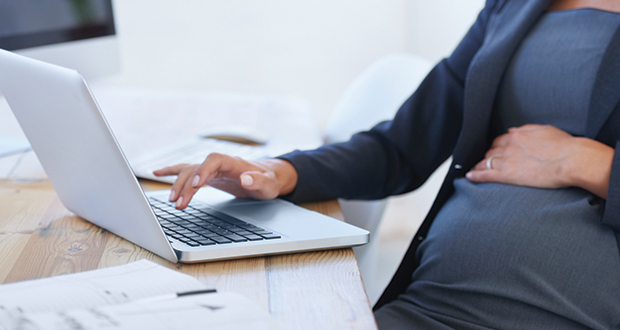 Training on EEO procedures should cover fair treatment of pregnant employees and applicants, including appropriate evaluation of any requested accommodations. Categories: Employment Discrimination, Employment Law | Tags: Autozone, pregnancy, pregnancy discrimination, Rosario Juarez, U.S. Supreme Court, UPS, Young v. United Parcel Service Inc. | Permalink.